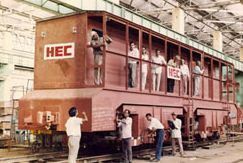 Heavy Engineering Corporation - Manufacturer of forged rolls, bull gear assembly & electric rope shovels in Ranchi, Jharkhand. 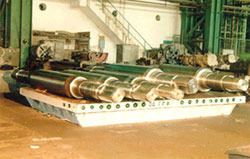 Rolls: HEC is pioneer in manufacturing of Forged Rolls in India and is a regular supplier to major Steel plants of India. 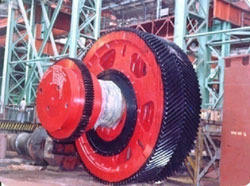 Dedicated facilities have been created for Induction hardened CRM rolls. Stringent quality control ensures High Quality Rolls. Sinter Plant Equipment (75-312 sqm) 24 nos. supplied to BSL,BSP, VSP,Turkey, USSR. Slag Cups Supplied to BSL, BSP, VSP, DSP, RSP, TISCO. Mixer (600 to 1300 T) 10 nos. 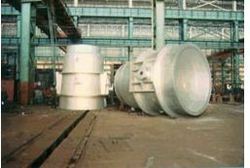 Steel Melting Converter (55 to 300 T) 10 nos. 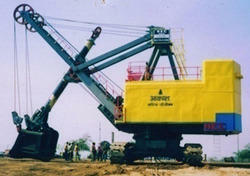 Highly Productive & reliable machines for Mining Operation. Over 30 numbers supplied to Indian Coal Sector. Steel Melting Converters : Supplied to BSL, BSP, VSP, DSP, RSP, Malvika steel plants, Indomag( Jindal) 5 nos Converters and 10 nos Mixers supplied.